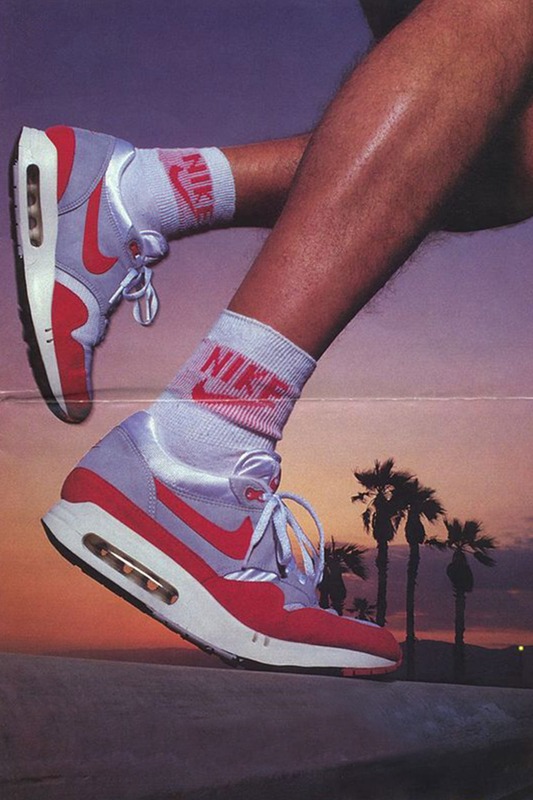 In 1987, the Air Max 1 forever changed running footwear with visible Air cushioning. Providing a window into the soul and sole of the Swoosh, the Air Max 1 helped jumpstart a revolution of Air that's still alive and well today. Since its arrival, the Air Max 1 has been innovated with everything from Engineered Mesh to Lunarlon cushioning and Flywire. Nearly three decades since its original debut, the Air icon now comes to life with Nike Flyknit. Helping welcome the Flyknit rendition to the Air Max 1 family, Sneakers presents a look back at the evolution of the Air Max model that started it all. It's the one that started it all. 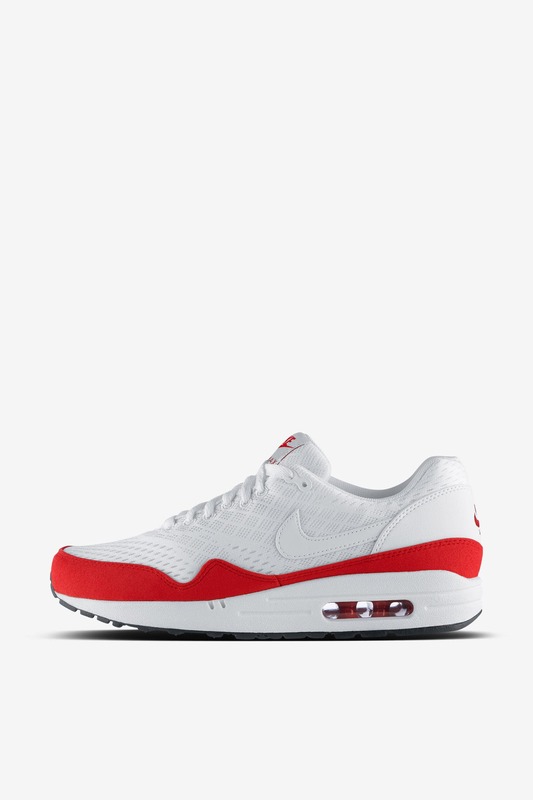 Designed by Tinker Hatfield, the original Air Max 1 features a traditional mesh and suede construction that was perfectly lightweight and breathable at the time. 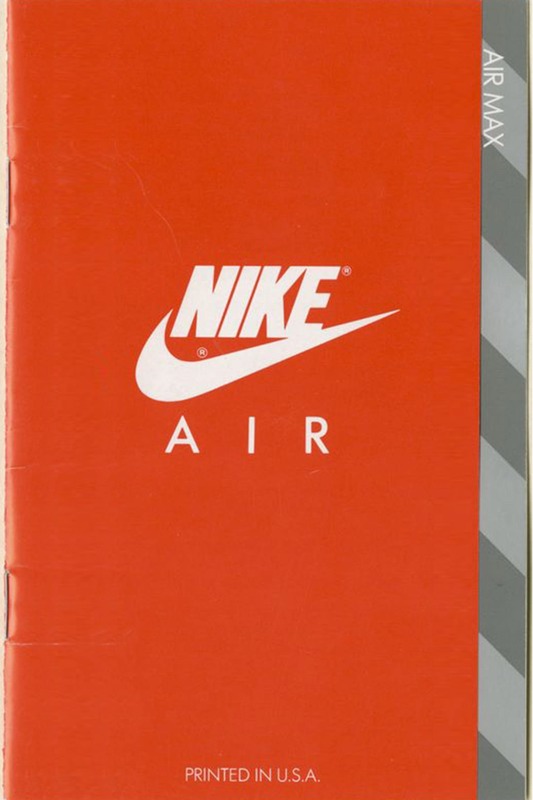 Its most defining feature though, is a visible Air unit in the heel that was unlike anything seen at the time. In the years following its debut, the Air Max 1 continued to be released in traditional fashion. 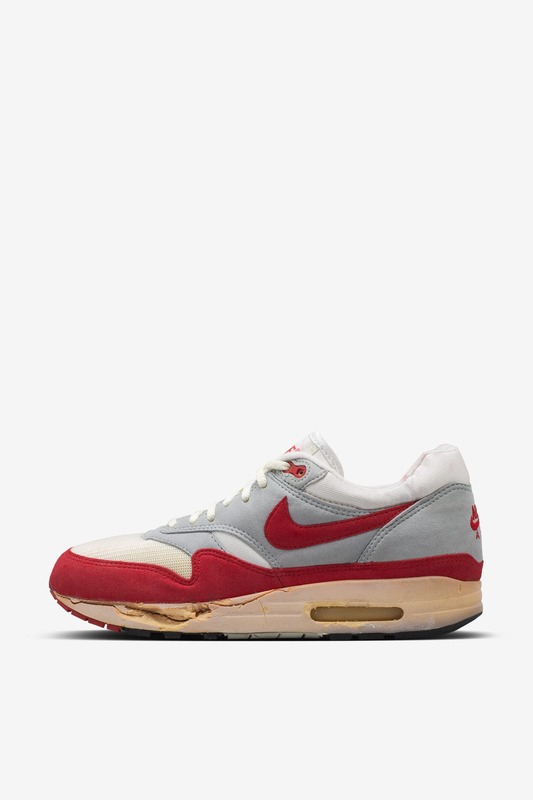 It wasn't until 2009 that the Air Max 1 was modernised for elevated comfort with the innovative Air Maxim 1. Taking inspiration from pinnacle models at the time such as the LunarRacer and the Zoom Victory Track Spike, the icon was updated with Acespan mesh, Flywire, a three-piece injected phylon midsole and a new overall shape that paved the way for new innovations in comfort such as Ultra technology. 2013 saw Engineered Mesh take over the Air Max 1. Similar to the Hyperfuse edition, the updated Air Max 1 featured a full mesh construction, complete with the iconic suede overlays in a vibrant red hue. The Engineered Mesh allowed for a zoned construction where tighter mesh was placed in areas where durability was most needed. Flexible mesh was utilised in areas where breathability was key. Also in 2013, the Air Max 1 was innovated yet again with a unique tape rendition. 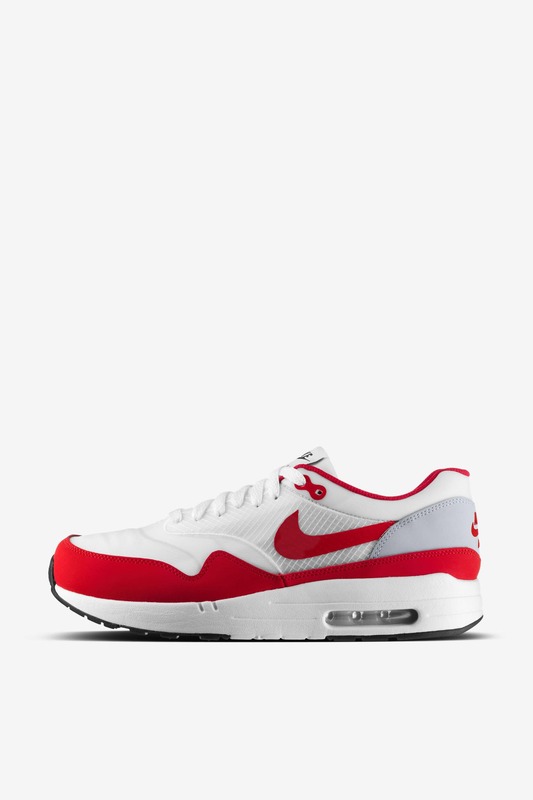 Similar to previous versions, the Air Max 1 Tape features a Hyperfuse upper with a classic suede mudguard in red. The upper was further innovated with a unique taping process throughout the upper that mimics the OG's design lines. Lunarlon cushioning helped innovate the world of running footwear in 2008. 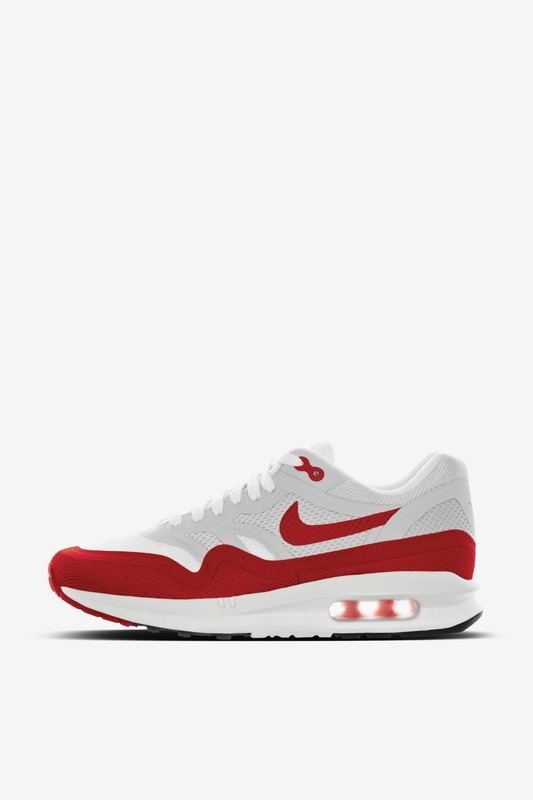 The exceptional cushioning innovation was applied to the Air Max 1 in 2014, coming together with the AM1's iconic visible Air to forever elevate cushioning. The updated setup was coupled with a no-sew upper to further lower weight while creating additional breathability. Arguably the most innovative iteration of the Air Max 1, the Air Max 1 Ultra innovated the original from top to bottom. The upper was re-created with a one-piece synthetic suede featuring laser perforations. Underneath, a new cored-out Ultra tooling helped reduce weight and create additional flexibility. The Air Max 1 Ultra Essential was born from the previously mentioned Air Max 1 Ultra Moire. Just like its predecessor, the Air Max 1 Ultra Essential is highlighted with a cored-out Ultra tooling. The icon's upper is simplified with a lightweight no-sew construction in classic tones.